Summer time is in full swing here...sorry for those of you experiencing a cold snap back home. I think I would trade you though. The past few days have been at 110 degrees, it's pretty unbearable. I've been keeping very busy lately (don't laugh), and also have been getting anxious about our move back home, so I haven't blogged in a while. To avoid the world's longest post, I'm going to post a top 5 of the best things I've done this past month. We had a great weekend road trip to New Delhi. 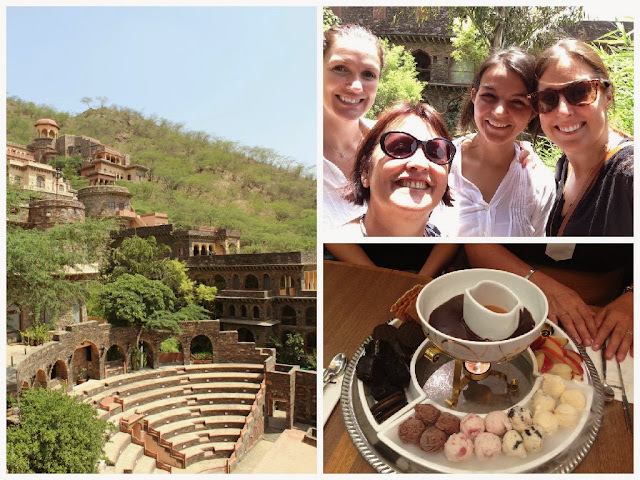 On our way we made a stop at Neemrana Fort for lunch, and it was a beautiful surprise in an unexpected place. 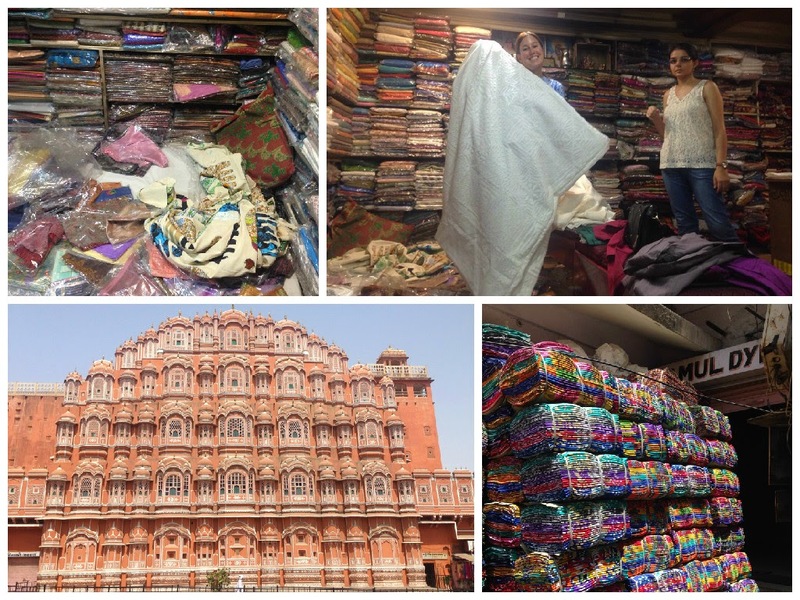 Our trip consisted of shopping and eating, enjoying the things we can't get in Jaipur. One of our food highlights was ice cream fondue at Haagen Dazs. Delicious! My friends and I discovered three bowling alleys in Jaipur! (We've tried them all). It's a fun way to beat the heat, and especially fun because it was the first time for some of my friends. Some fun things have been happening at school. We have a new volunteer from Spain who will live there for 18 months. We have gotten the library set up in a more functional way, introduced some more activities, and made new initiatives for the next session. First we went shopping with Camila as our guide. (We made a bit of a mess). 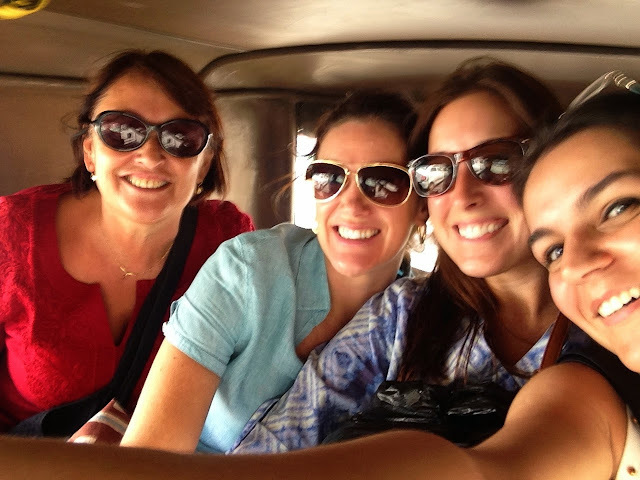 Then we took a a tuk-tuk to Bapu Bazaar in search of spices. Finally, some lunch at Jai Mahal Palace - delicious! Our amazing friends threw a party for Isilda and I as it is nearing the end of our time here. We had a fun Indian themed evening, with a puja to give us well wishes on our new journey, a traditional veg meal complete with a Taj Mahal made of chocolate. Marcela also made Isilda and I amazing scrapbooks filled with pictures of our time together. It was a great evening. Gabi practicing his birthday wish for his party next week.